Yet the Yorkshire climber holds a unique record among UK adventurers: he’s the only Brit to have summited all 14 of the world’s tallest mountains, over 8,000m. Film-maker Terry Abraham wants to change that low profile. His latest production, after his cinematic portraits of Scafell Pike and Blencathra, is an attempt to bring Hinkes to a wider public and the chance to gain the acclaim Abraham thinks Hinkes is due. The full 1 hour 46 minute movie follows Hinkes through several familiar landscapes in the Yorkshire Dales, Snowdonia, the Lake District, North Pennines and his backyard the North York Moors before heading east to the Himalaya and Karakorum, scenes of the mountaineer’s 27 attempts on the 8,000m peaks and eventual success on the 14. Abraham said he didn’t want to make a typical morose or deeply philosophical portrayal of the Northallerton-born mountaineer. And in that, he has certainly succeeded. Hinkes bounds around in the footage like a sexagenarian puppy, full of hyperbolic enthusiasm and energy. His grandson says he is ‘a crazy person that you just tend to like’, and whether it’s dangling from a Borrowdale crag kicking out his legs or discussing the toilet options while driving a husky sled across the Arctic, his humour abounds in Abraham’s warm depiction. Fellow climber and friend Paul Ross says Hinkes has a light-hearted approach to life which has led to people not taking him seriously enough. Ross makes the point that, unlike some establishment figures in mountaineering, Hinkes has never had a manager or someone to promote him, so he goes his own way. The cinematographer has filmed and edited this work in less than 11 months, quite a feat considering the locations include not just mountain areas in England and Wales, Arctic Sweden and Norway and Nepal. In fact, Abraham was late arriving with a drive containing the film at its premiere in Cumbria this month, as he was editing right up the last minute. Hinkes was able to keep the audience entertained with his Yorkshire humour until the movie arrived. The film also examines the mountaineer pursuing his other loves: beer and steam engines. Abraham’s film style follows in large part that of his previous two works in its cinematography and anyone with a love of Britain’s uplands will appreciate the topographic eye-candy that the footage is wrapped in. 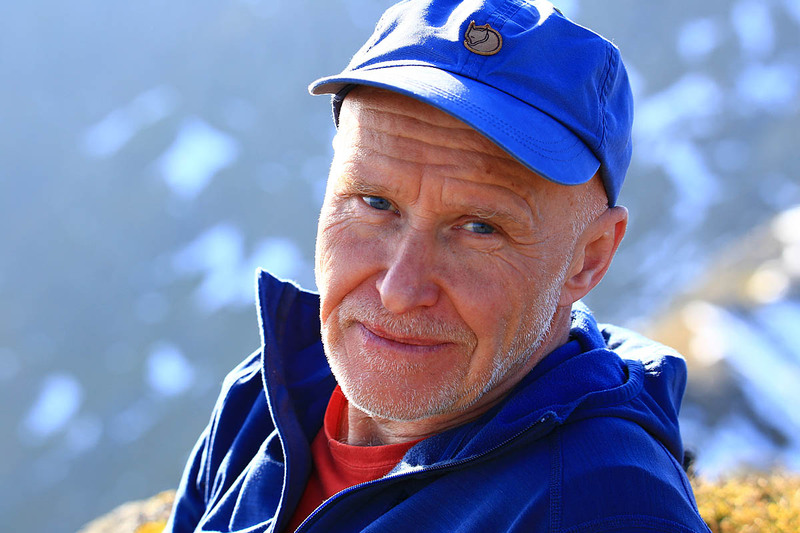 The portrait of Hinkes is of a man who is not anti-establishment yet stands outside the traditional climbing elite on the after-dinner circuit despite his remarkable achievements. Yet he is still very active in the great outdoors. He spends much of his time in the Lake District working with young people and he’s and ambassador for the hostelling charity YHA. Those of us who attend outdoor industry events are usually astounded if his broad Yorkshire accent can’t be heard somewhere in the venue. There’s a great deal of Hinkes tomfoolery in Abraham’s film, but the former teacher also provides some occasional insights into his roots and motivation and a fleeting glimpse of the dangers that can bring a climber close to death. The man is clearly no fool and he knows his facts. Though staff at Leeds Beckett University testing his reactions to simulated altitude reveal he’s ‘a freak physiologically’. Which probably explains the ability of the 63-year-old’s propensity to bounce around the hills like a waterproofs-clad Tigger. 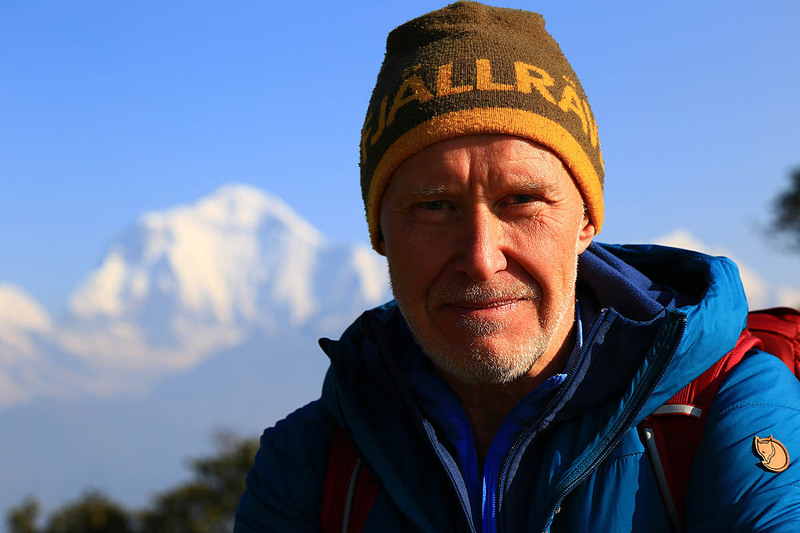 Alan Hinkes – the First Briton to Climb the World’s Highest Mountains reveals sides to the mountaineer that will be new to many, with the addition of well-shot vistas of features as diverse as Striding Edge, Gaping Gill, High Cup Nick, Arctic Norway and Namche Bazaar for those who love fell- and mountain-spotting. Will he go back to the Himalaya to tackle any of those 14 peaks again? You’ll have to watch the film for the answer to that. Terry Abraham’s movie will be available to buy digitally via the Steepedge website shortly and a DVD will also be released in the near future and will be available nationwide from retailers as well as on Amazon UK and the Striding Edge site. 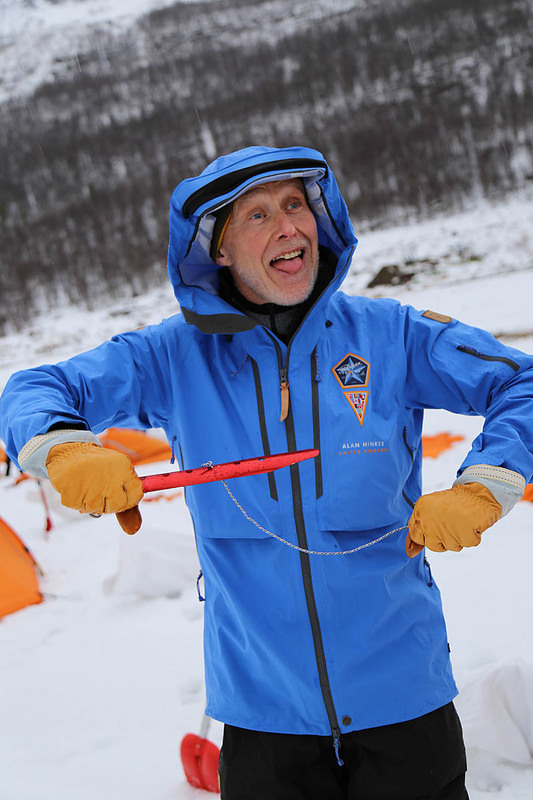 There are currently screenings at the Rheged Centre, Penrith, and more are lined up around the UK including a tour with Fjällräven in spring 2018. Have followed his adventures for years and he doesn't get the credit he deserves for his remarkable achievement. Look forward to getting the DVD. Top bloke who's personally achieved a lot more than many whole nations have. The media don't give him the credit and publicity he deserves, yet when Beckham gets a new Tattoo or Rooney scores a goal ( or a granny ) it's front page news, that to me sums up the state of a once great nation. A nation built by adventurers, explorers and true heroes like Alan. These are the folk that need sponsorship deals and a healthy bank accounts, not these pouting pretty boy millionaires that chase a bag of air around a small field in their underwear once or twice a week. Kudos to Mr Hinkes a true legend. Pity someone never paid nearly as much attention to Hamish MacInnes, Dougal Haston et al.